Shortly after we moved to Australia, I fell in love with Sauavignon Blanc wines! To be exact, I fell head over heels with the Sauv Blanc produced in the Marlborough region of New Zealand. I swear I’ve never tasted wines that were so aromatic, crisp, fruity and had that unmistakable mineral taste – one of the region’s well-known characteristics. I look for these NZ wines whenever we dine out now. 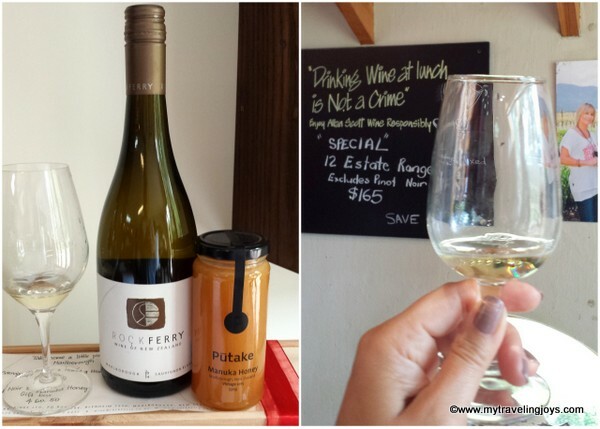 In December, we spent two nights in the small town of Blenheim where many of the area’s 60 wineries are located nearby. Coming from the West Coast, we knew we were close once we started seeing vineyards that stretched as far as the eye could see. Tucked away at the South Island’s northern tip amongst the plains of the Wairau River, the Marlborough region is New Zealand’s leading wine producing area. Marlborough’s grape growing magic is based on its ideal climate and fertile soil. The weather conditions are perfect for growing the cool-climate Sauvignon Blanc grape – dry, warm and sunny days, complemented by cool nights. Unfortunately, we experienced a bit of cloudy skies during our stay, but we still managed to taste a bit of wine. Did you know that Marlborough produces 75% of New Zealand’s wine? Did you know that 85% of NZ wine production comes from the Sauvignon Blanc grapes? To take advantage of all these glorious wines, we booked a wine tour in advance through Bubbly Grape Wine Tours. That way no one needed to worry about driving. Our minivan carried 15 passengers and included Brits, a handful of Germans, two French ladies, a Turkish woman and another American besides ourselves. If you’re not a fan of organized tours, you can use this Wine Trail Map to create your own DIY winery tour. 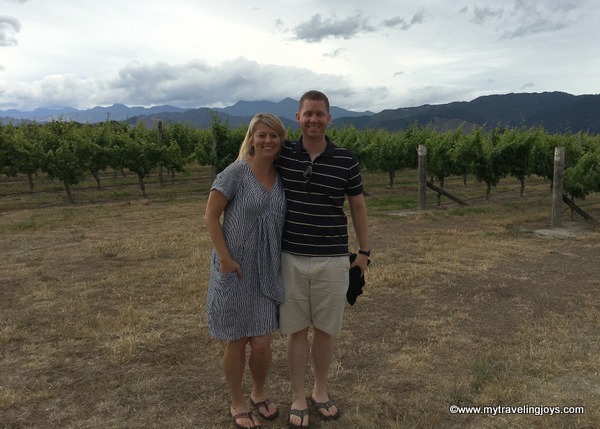 Our guide had previously worked at our first stop, Saint Clair, a family-owned vineyard near the Wairau River. In 1978, the Ibbotson family started growing grapes here which were supplied to local wine companies, but started producing their own wines in 1994. The name is based on the Sinclair family who first settled the land in the 1850s. According to my notes, my favorite wines here were the Barrique, a unique Sauv Blanc that is aged in oak barrels, and the Pioneer Syrah 2011. I also like the estate’s base Sauv Blanc for its passion fruit and apricot flavors. Next we headed to Rock Ferry, another small family-owned winery, which ended up being our favorite of the entire day. After working in the wine business for several years, the Hutchisons created their own label in 2005 and were certified organic in 2009. The winery uses organic farming practices and tries to serve organic produce at its café as often as possible. Rock Ferry’s Sauvignon Blanc tasted typical of the area, but was really good. I also liked the barrel-fermented Sauv Blanc, a Pinot Blanc which would be good with seafood, the 2012 Tempranillo (which we ranked 4.5 out of 5) and the 2014 Chardonnay (4 out of 5). I wonder if the winery’s organic practices made the wines taste better to us. Our third stop was at Cloudy Bay, one of the first wine makers to set up shop in 1985, and now considered one of the region’s lead winemaker. Cloudy Bay’s founder, David Hohnen, established grapevines here at a time when it was an “unimaginable place to set-up a vineyard.” It’s difficult now to see how that idea was possible. What I like about Cloudy Bay is that its Sauv Blanc is reliable – you know what you’re buying and you won’t be disappointed. I also like the brand’s Pelarous, a crisp, sparkling Chardonnay-Pinot Noir blend. For lunch, we literally drove across the same road to Allan Scott, another independent, family-owned winery, first established in 1990. Our group had a delicious lunch here – New Zealand salmon for me and roasted lamb for hubby. The local restaurant is in a beautiful setting with a babbling fountain. Unfortunately, by this point, neither one of us was taking wine tasting notes. I’m sure the wine must have been good as nearly all the wines we had tried in Marlborough were. After lunch, we headed over to a local winery that specializes in sparkling wines. The Le Brun family started the business in 1997 using the same Champagne-making method the father’s family in France has used for 12 generations. The sparkling was quite good, and we bought a large bottle to drink on Christmas Day. Our last stop at Brancott Estate Wines featured the most impressive views over the Marlborough region. Perched on a hilltop, Brancott has grown to become New Zealand’s largest producer and exporter of Sauvignon Blanc wine since the first grape vines were planted in 1975. I’m positive Brancott is even lovelier when the sun is shining. 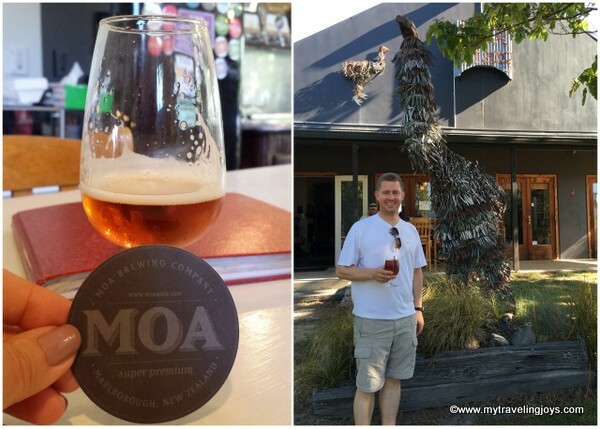 The day before our wine tour, we did a beer tasting at Moa Brewing Co., a local craft brewery, located next to Cloudy Bay. Interestingly, the brewery was started by Josh Scott, son of Allan Scott, so wine and beer can go together hand in hand. Moa is named after the country’s extinct, giant bird that once roamed the area. If you’re more of a beer lover, definitely stop at Moa and enjoy some of their award-winning craft beers! In the town of Blenheim, we stayed at this charming Airbnb, owned by two helpful Kiwis, Frank and Maria. The couple had just started renting out two bedrooms in the back of their historic home that had their own ensuites. 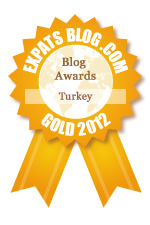 Generally, we prefer to stay by ourselves, but the house’s layout was perfect and quiet. We couldn’t have asked for a more wonderful Airbnb experience. Plus, the local neighbors were quite playful. 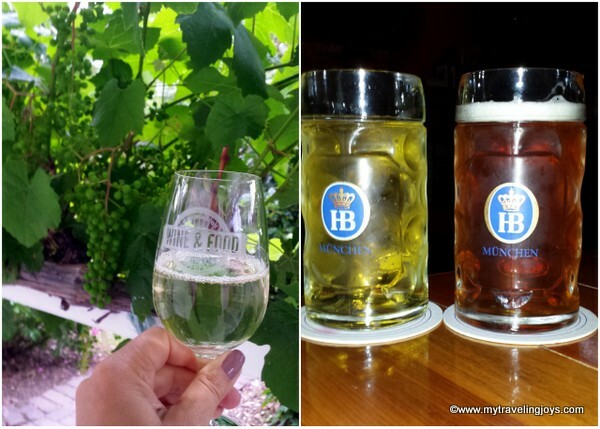 After having a much-needed nap following our wine tour, we wandered over to the recommended Dodson Street Beer Garden, a German bierhaus complete with large mugs of local and German beers. We ordered a few dishes to share and somehow managed to try some local cider and beer. As you can see the Marlborough region may best be known for its Sauv Blanc, but you’ll find a surprisingly wide selection of other wines and beers and of course, spectacular views and hospitality. We easily could have spent more than two days here! Have you been to Marlborough? If not, where is your favorite wine region in the world? Beautiful! Wine tours are always fun, especially if you are a fan of the wine or the region! i LOVE sauvignon blanc! happy easter!!!! Thanks Carrie! Definitely! Wè lobe wine tours too!